I’m working on a solution to filter games that combine 2d sprites with 3d polygons. 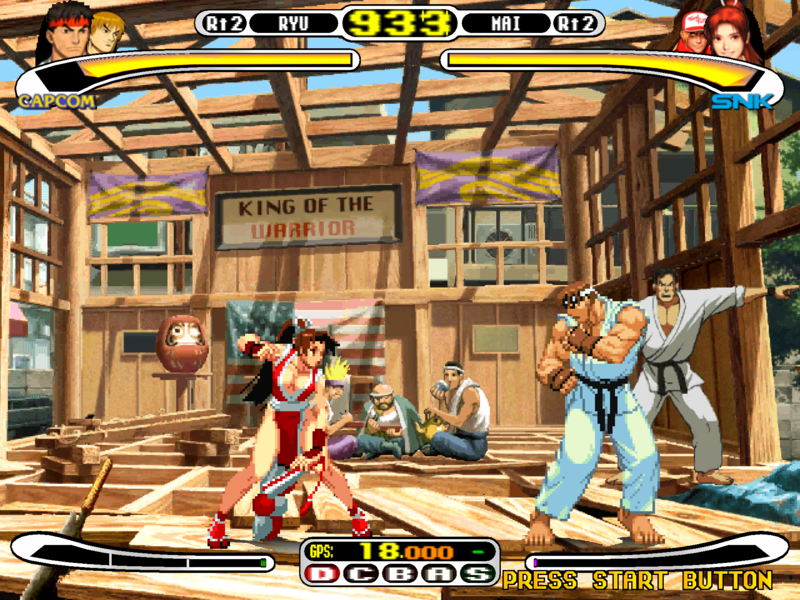 The last image show that background and PRESS START BUTTON text is well filtered by xbr, but the fighters aren’t. That’s because sega has used 2d sprites with different resolutions. Anyway, the polygons aren’t touched, so it’s possible to filter even with High Internal Res enabled. It should work in some cases. The cores need to increase internal res and output perfect square pixels, or else the sprites can’t be detected. Ah, very clever! Could you have different detection passes tuned to the different pixel sizes in CvS, for example, or are the fighters scaled in such a way as to make identifying them unreliable? 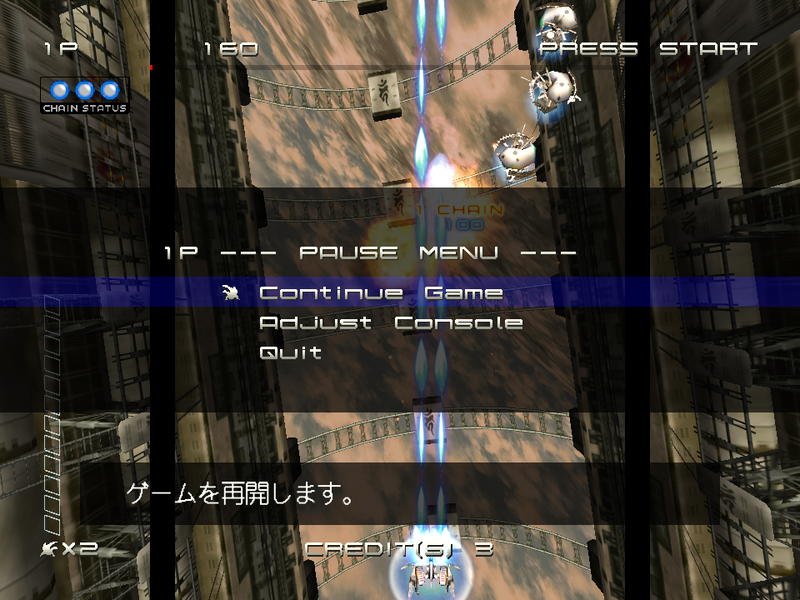 EDIT: Ikaruga run perfect with this enabled using 3x internal res! That looks like the Steam/360 version! Very cool! Nice work, companies keep feeding us remakes we have to buy all over again but I think its more fun to tweak the classics and see what mileage you can get out of them. Yes. I think I have an idea to create a mask3D and use any other shader to filter the low res part of the image. It should be doable with multipass shaders. Anyway, it’s a long way ahead. 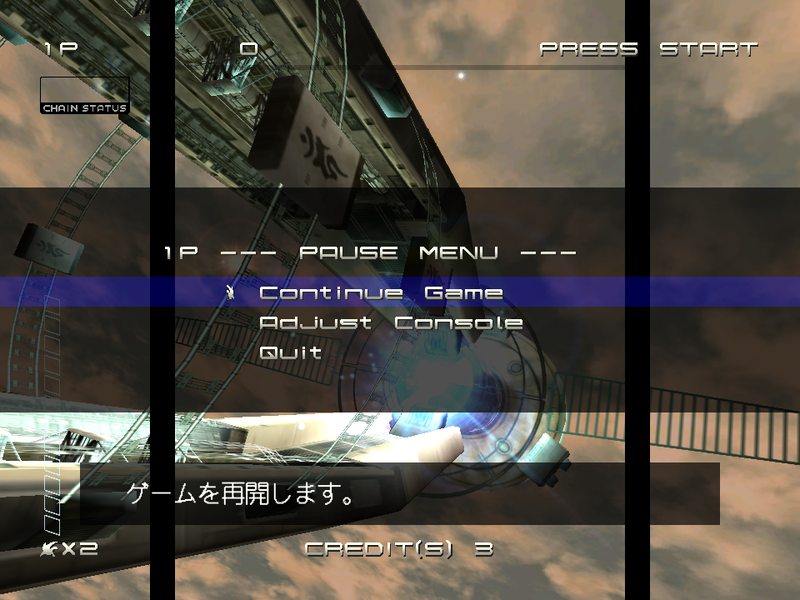 I’ve managed to make it work at 60fps on ePSXe! Now I ported three more shaders that work well with 3D in High Res (the same way the xBR). They’re Jinc2-Sharper-3D, Lanczos2-Sharper-3D and Jinc2-Sharpest-3D. It would be cool to have it use super xBR instead of classic xBR since for environments, superxbr pretty much rendered xBR obsolete. Classic xBR works great for NES and games with more defined colors, but it doesn’t work well with photorealistic environments the same way super xBR does. super-4xbr-3d (for use with 4x internal res). I’m trying to get these to work. I tried using the presets(those containing 3d) but they don’t load for some reason. I can load for example “super-xbr-2p.cgp” just fine and it got me thinking if I could just rename “super-2xbr-3d-pass0.cg” and “super-2xbr-3d-pass1.cg” to “super-xbr-pass0.cg” and “super-xbr-pass1.cg” they should load when I try using the preset “super-xbr-2p.cgp” but nope, they don’t. So I updated the shaders using the online updater(to reset) and tried to do it manually and it does say “super-2xbr-3d-pass0.cg” under “Shader #0” etc but I don’t see anything different, it’s behaving as if I have zero filters. 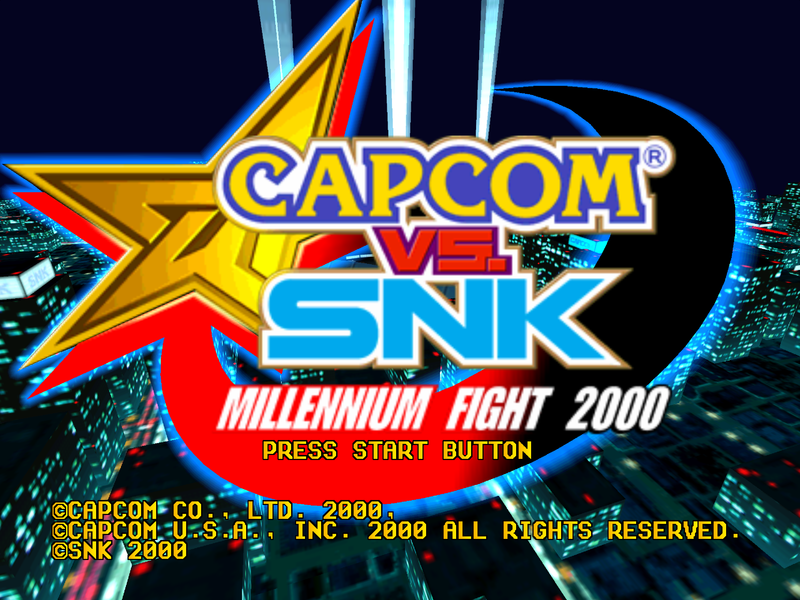 I tried them with Mednafen-PSX with the latest nightly build & everything up to date. Resolutions I tried with were 640x480 & 1280x960. (2x & 4x native res iirc). [QUOTE=pralinen;34311]I’m trying to get these to work. I tried using the presets(those containing 3d) but they doesn’t load for some reason. I can load for example “super-xbr-2p.cgp” just fine and it got me thinking if I could just rename “super-2xbr-3d-pass0.cg” and “super-2xbr-3d-pass1.cg” to “super-xbr-pass0.cg” and “super-xbr-pass1.cg” they should load when I try using the preset “super-xbr-2p.cgp” but nope, they don’t. So I updated the shaders using the online updater(to reset) and tried to do it manually and it does say “super-2xbr-3d-pass0.cg” under “Shader #0” etc but I don’t see anything different, it’s behaving as if I have zero filters. Run it with Retroarch_debug.exe and copy here the log (enable log to level3 in Retroarch options). The log will appear at the command window. Probably your GPU doesn’t support the number of registers needed to run these shaders (they’re very heavy!). Ah, I had to enable “Logging Verbosity” as well. RetroArch [ERROR] :: Failed to load shaders … RetroArch [INFO] :: CG: Destroying programs. 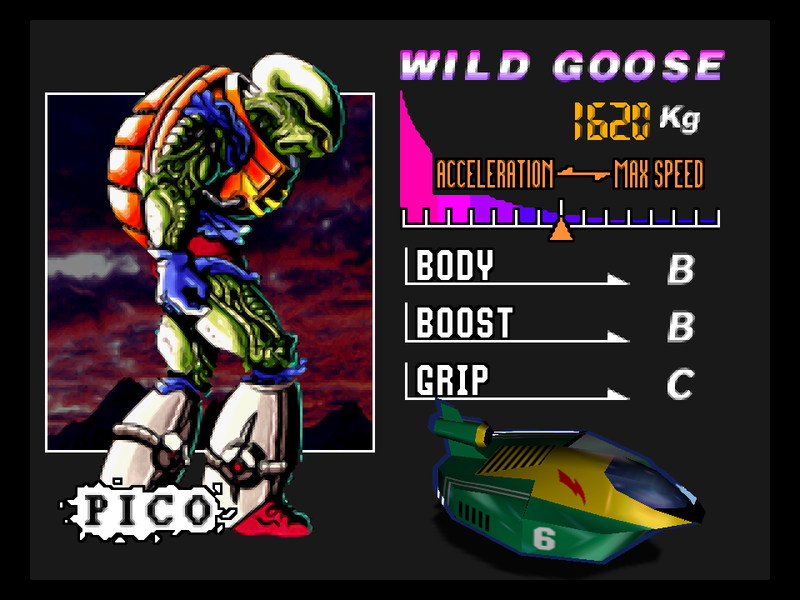 RetroArch [INFO] :: [Cg]: Vertex profile: gp5vp RetroArch [INFO] :: [Cg]: Fragment profile: gp5fp RetroArch [INFO] :: Loading stock Cg file. RetroArch [WARN] :: [GL]: Failed to set multipass shader. Falling back to stock. Thanks for the log. I have indeed made a mistake letting some debug vars inside the shaders (LOL). Amazing how you’re the first one to notice it after more than one week after the release. Anyway, I just fixed, please download these shaders from common-shaders and test again.